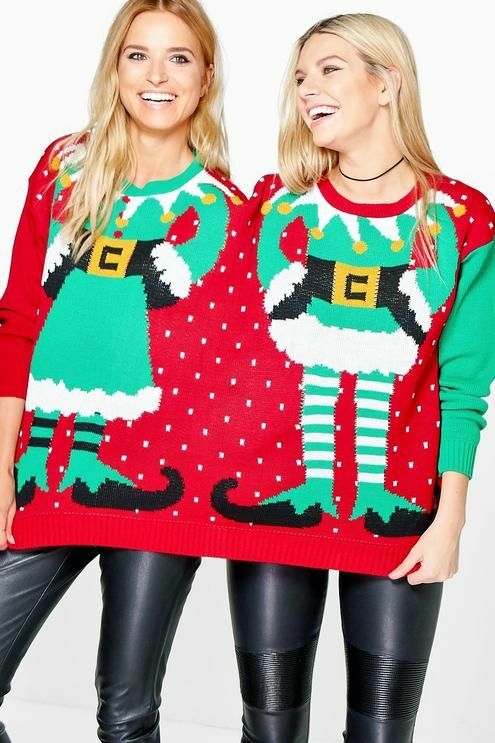 Two is trouble, twin matching jumpers from Boohoo. Can’t decide what to wear or where to go? Share a jumper with your bestie… now you can go everywhere together. View other two person jumpers here. 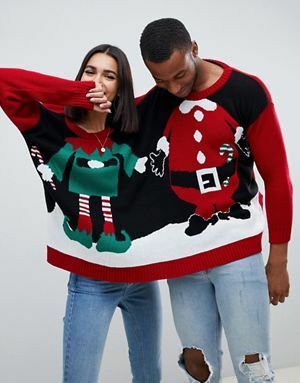 Two people, one jumper! 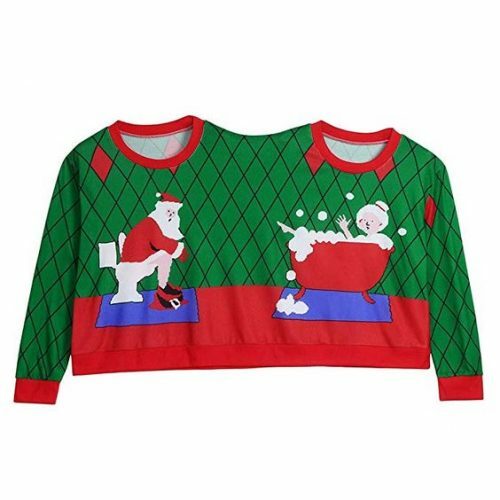 This two person jumper is going to be a lot fun at Christmas. 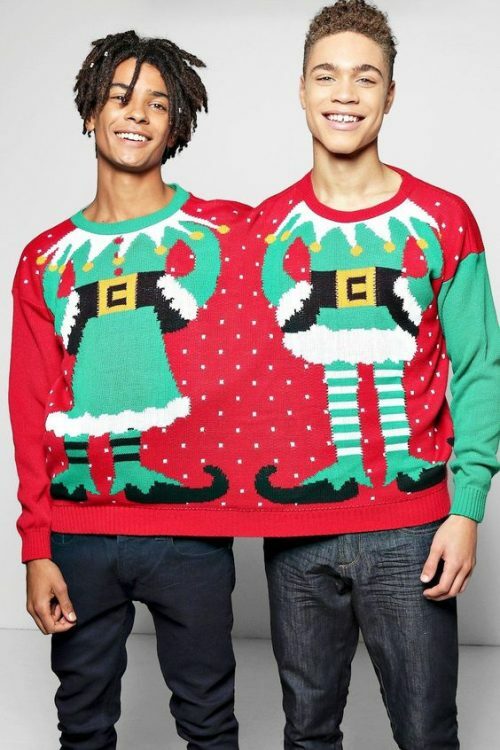 Just make sure you really like your jumper buddy.